iPad 3G Smackdown: What's the Best Deal? 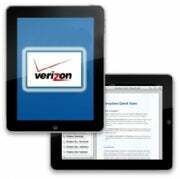 Verizon Wireless stores will begin selling Apple's iPad on October 28, but without 3G inside. Instead, the carrier will bundle iPad Wi-Fi models with Mi-Fi 2200 mobile hotspots for the same price as AT&T's iPad 3G models. That means users will have to carry around a second device in their pockets, and the Mi-Fi's four-hour active battery life doesn't nearly keep up with the nine-hour iPad. On the bright side, the Mi-Fi can connect with up to five devices at a time, including laptops. iPad customers will get special treatment for data. Instead of paying $40 for 250 MB or $60 for 5 GB, Verizon will offer a 1 GB data plan for $20. The press release from Verizon and Apple says nothing about a contract, so I'm assuming users won't need one. AT&T's iPad plans cost $15 for 250 MB and and $25 for 2 GB. All three iPad sizes will be available, at $629 for 16 GB, $729 for 32 GB and $829 for 64 GB. Verizon will also sell standalone Wi-Fi models. Pricing wasn't given, but they'll probably cost the same as everywhere else: $499 for 16 GB, $599 for 32 GB and $699 for 64 GB. I know what you're thinking: This is a sure sign that Verizon's getting the iPhone soon. It's certainly a good sign that Apple and Verizon are working together, but keep in mind that Apple still doesn't sell any devices with a CDMA chip for running on Verizon's network. If the Verizon iPad had 3G built-in, it would erase pretty much all doubt for the iPhone. As it stands, I'm guessing AT&T has an exclusivity deal on 3G iPads, and this is all Verizon can do. Incidentally, AT&T announced that it will start selling the iPad in its stores on October 28.